Yiddish newspaper, issued daily except Saturday and Jewish holidays, established in New York Feb. 3, 1899, by Jacob Saphirstein and Joseph L. Rosenbaum; now (1904) published by the Jewish Press Publishing Company. Its first editor was George Selikovich; and among its chief collaborators have been Philip Krantz, Ḥayyim Malitz, Jacob Magidoff, and M. Seifert. N. M. Shaikevich, the Yiddish novelist, has written for it several long serial stories. 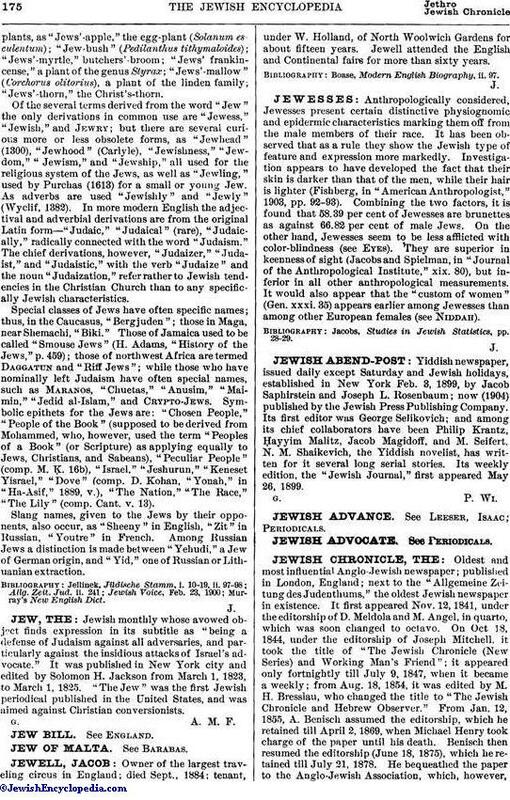 Its weekly edition, the "Jewish Journal," first appeared May 26, 1899.